Space suits, meteorite fragments and a giant moon sculpture will be displayed in England's Ely Cathedral as part of events marking the 50th anniversary of the moon landing later this year, it has been announced. 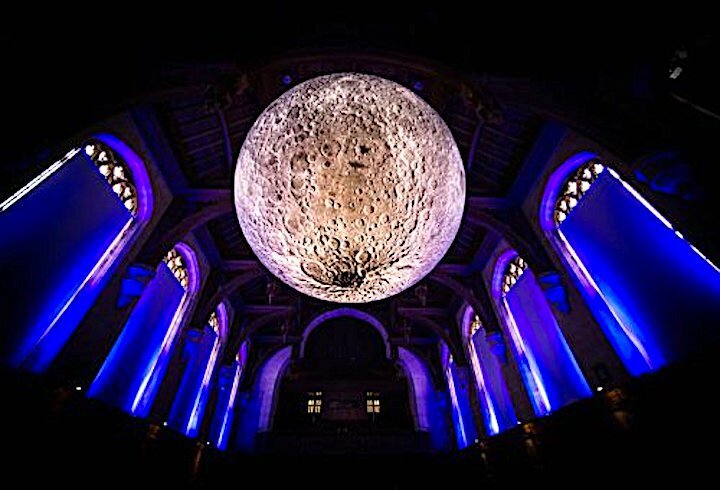 The Church of England said the cathedral will host Luke Jerram's art installation, Museum of the Moon, which features detailed NASA imagery of the moon's surface and which will be suspended from the roof of the cathedral's nave as part of a festival celebrating space exploration, artificial intelligence and future technologies between 18th May and 9th June. The festival will also include science-themed worship events, lectures from the likes of Astronomer Royal Lord Rees, and lunar expert and broadcaster Dr Maggie Aderin-Pocock, as well as exhibits loaned from the Science Museum in London and the Institute of Astronomy in Cambridge. Vicky Johnson, a former research scientist who is now a canon at Ely Cathedral, said it was hoped the event would "highlight the long tradition of scientific thought as part of our Christian heritage and build on our reputation as a ‘cathedral for science’ – encouraging greater understanding between science and faith". “Cathedrals have long been centres for learning and education particularly in monastic foundations where medicine, engineering and astronomy were common disciplines among medieval religious communities," she said. Lichfield Cathedral is another marking the 50th anniversary of the Apollo 11 landing - which falls in July this year - with a display which will see the nave floor transformed into a visual reproduction of the moon's surface. The events at the cathedrals are among 14 Church of England projects which have received a total of £70,000 in grants under the Scientists in Congregations scheme, a Durham University project funded by the Templeton World Charity Foundation which is run in partnership with the Church of England and which aims to foster greater understanding about science and faith. Churches in Bristol, Cambridgeshire, Canterbury, Devon, Exeter, Hertfordshire and Oldham are also running projects under the scheme include one exploring the science of prayer and another on building robots.